Personalized Smiling Shamrock Teddy Bear - 21"
Celebrate the Irish with our adorable Smiling Shamrock Teddy Bear! This Irish Keepsake is sure to bring a smile to the faces of those who receive him. 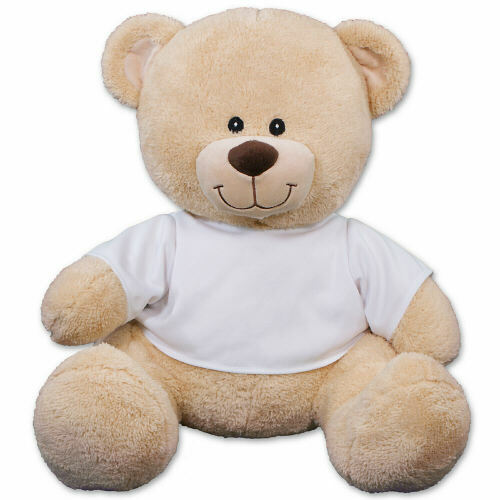 Our custom Irish Teddy Bear is unique because you can custom design the t-shirt with any name. 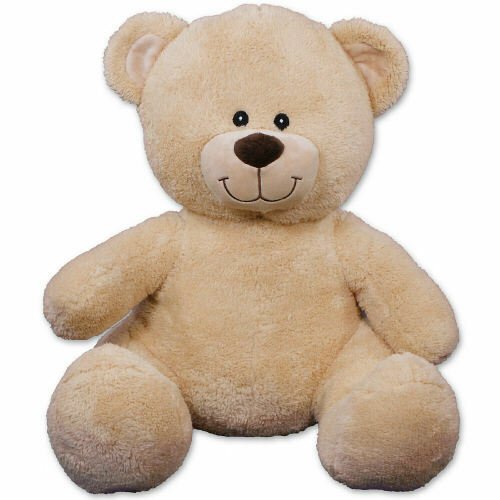 Featured on our Exclusive Sherman Teddy Bear! Sherman features an irresistible look and a super soft feel. He has contrasting tan fur on the inside of his ears and snout. Measuring 21” tall and makes a wonderful gift for any occasion. Free gift wrapping and a free gift message are included to create a thoughtful presentation. Additional Details Shop 800Bear.com to find your favorite Personalized St. Patrick's Day Teddy Bear. Our line of St. Patrick's Day Plush Animals also includes an adorable St. Patty's Day Personalized Frog & a Kiss Me I'm Irish Teddy Bear as well.